Tim Proegler | SessionLinkPRO - Professional far end recording through your web browser - more than an ISDN replacement / ISDN alternative! A new button is available to toggle IPv6 support. This was necessary to prevent connection issues with IPv6 tunneling on a couple of routers. IPv6 tunneling may lead to major connection issues resulting in heavy drop outs and glitches. You now have acces to a connection log. The connection log keeps track of connect and disconnect events and can be used to determine a session length. For increased privacy, the log is stored on the local computer only and will be deleted on log out or when the browser is closed. 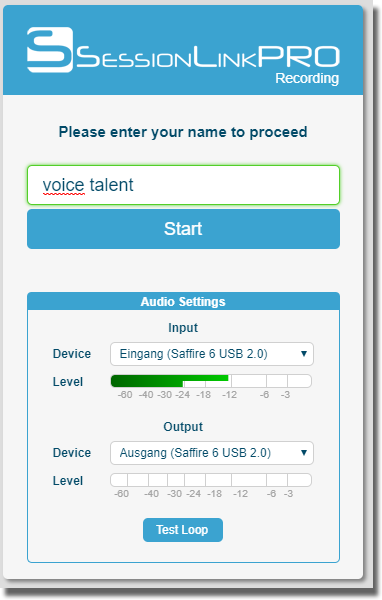 We’ve added an audio test loop to check the selected audio input and output devices. 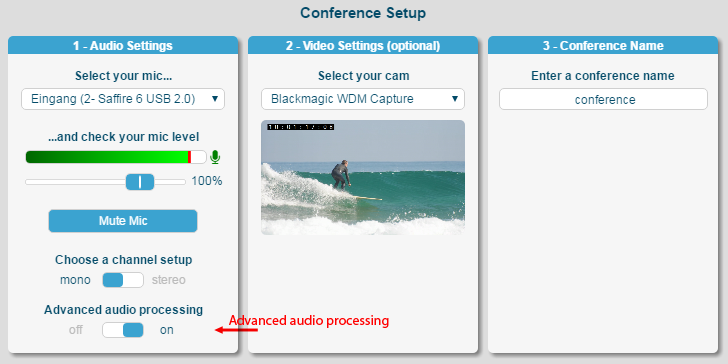 On the guest side, it’s now possible to choose and test audio input and output devices before starting the session. We are happy to announce the commercial release of SessionLinkPRO | Conferencing. The beta test phase will end on 1st of May 2017, after an extensive testing period. Regular SessionLinkPRO | Conferencing subscriptions will then be available through our online subscription system. 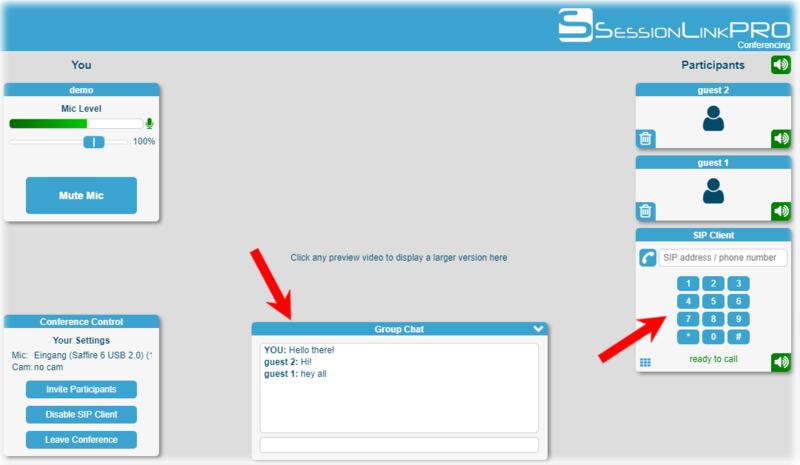 You can add a SessionLinkPRO | Conferencing subscription to an existing account or create an independent account. The new versions of all SessionLinkPRO products are now online! SessionLinkPRO’s user interface received an update! We’ve build a revised metering visualisation featuring a new dBfs scale and a clipping indicator for better control of your levels. The SessionLinkPRO Network is online! Lots of clients asked for it – here it is! The SessionLinkPRO Network directory is online. You’ll get a free entry with the purchase of a subcription period. Customize it on our ‘Account’ page.